Wow! the way telecommunication company's are in a competitive mode is really cool this days, yeah, Glo has now boost up their data plan from 1GB for N1000 to 1.5GB for the same N1000. what this means is that with just N1000 you can now subscribe to get 1.5GB, and this plan work with all platform be it Android phones, blackberry , iPhone, PC etc with this Glo New Data package you can browse, download and stream videos online. 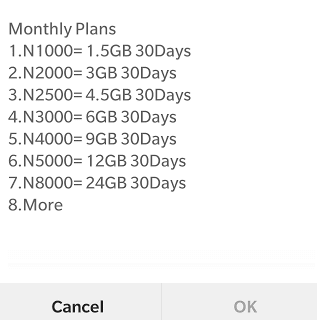 You can subscribe to this Glo cheap data plan follow the guideline below to choose the one that best suit your daily and monthly need. To Subscribe dial *777# and choose the data plan, monthly, and pick any of your choice.